Everyone is welcome! No equipment required. 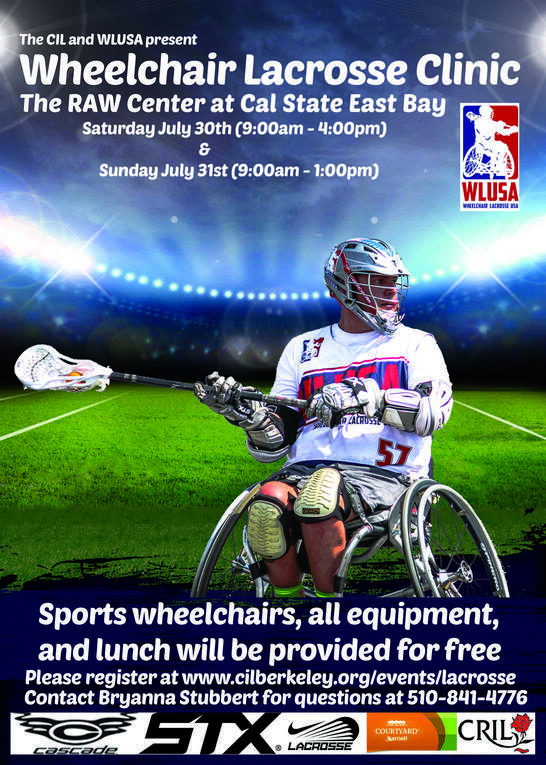 The Center for Independent Living Berkeley is very excited to be partnering with USA Wheelchair Lacrosse to present this clinic. Equipment, a sports wheelchair (if you need one), and lunch will be provided. Please feel free to contact us with any further questions and share this with your family and friends.